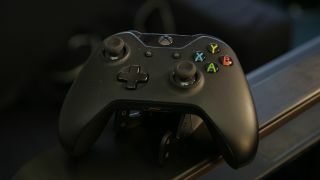 In a strange turn of events, mobile, console and PC gamers will soon all use the same controller – Microsoft’s Xbox One gamepad. News came today that Android Pie, the latest version of Google’s mobile OS, will fix a longstanding issue that incorrectly mapped the Xbox One’s buttons and prevented gamers from using Microsoft’s gamepad with their Android devices. Theoretically, this problem could’ve been fixed two years ago (when Microsoft first put Bluetooth inside the Xbox One S gamepads), but it wasn’t until this week that Google's top engineers finally figured out how to get the phone and the controller to play nice. Gamers, say goodbye to having hold your phone and cover up one-third of the screen with your thumbs. This is particularly exciting news for fans of the first-person shooter and battle royale genres on mobile who have been using third-party gamepads to get an edge over their opponents. While Fortnite Mobile's developers haven't confirmed the exact timing that the game will support the new input mappings, a representative from Epic Games has told CNET that it will support the Xbox gamepad "sometime in the future". That being said, Google has marked the mapping issue resolved in the latest batch of code, which means support for Microsoft's gamepad should be available on the phones running Android Pie – namely, the Google Pixel 2, Google Pixel 2 XL, Google Pixel, Google Pixel XL, and Essential Phone – starting today.